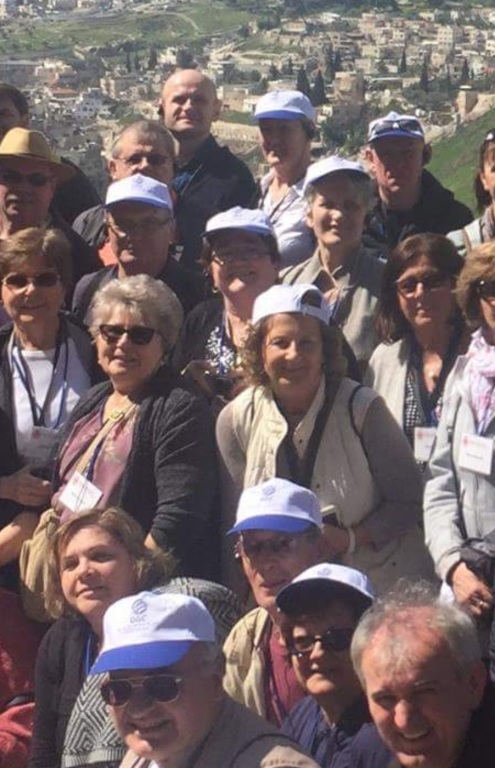 Our pilgrims from all our sister Croatian Franciscan parishes throughout the U.S. and Canada journeying together in the Holy Land (in commemoration of the 90th anniversary of the founding of the Croatian Franciscan Custody). 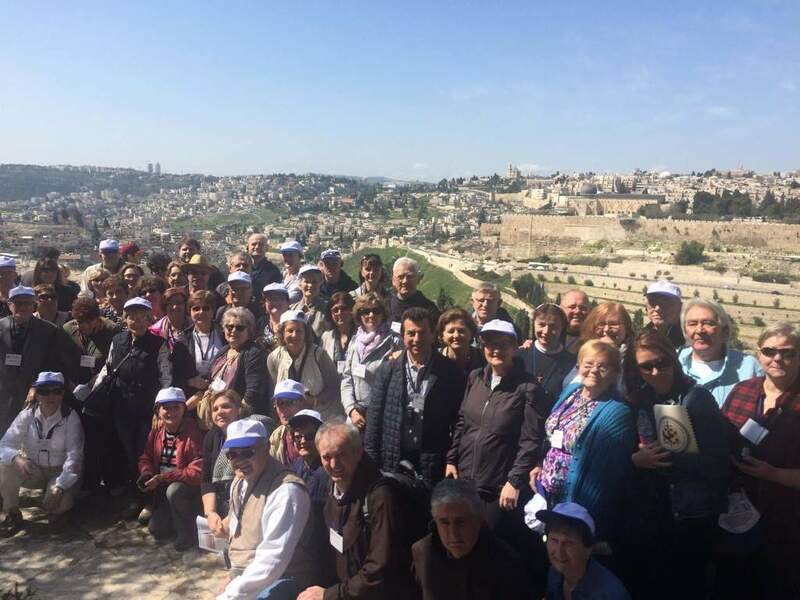 Here are pictures of our parishioners Mary S. and Joe M. on the Mount of Olives overlooking the Old City section of Jerusalem. 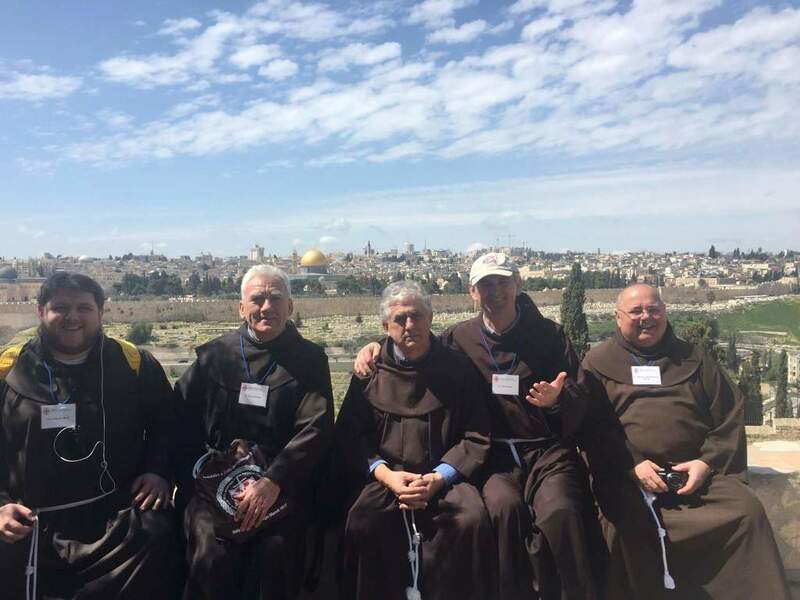 With our pilgrims from Croatian Franciscan parishes from the U.S. and Canada are five of our Franciscan friars (left to right): Bro. Antonio Musa, Fr. Jozo Grubišić, Fr. Miro Grubišić, Fr. Joe Grbeš and Fr. Steve Bedenikovic. For many more pictures, see Fr. Joe's Facebook page or the Cro Franciscans' Facebook page. Mary and Joe prayed a lot for all of us!